Surveillance Valley explores the roots of the internet when it was used as a tool for surveillance and control, and delves deeper into the muddled reality behind the modern privacy movement. This book will be a page turner for any individual with an interest in the history of the web, and for those who want to know more about its origins as a weapon. 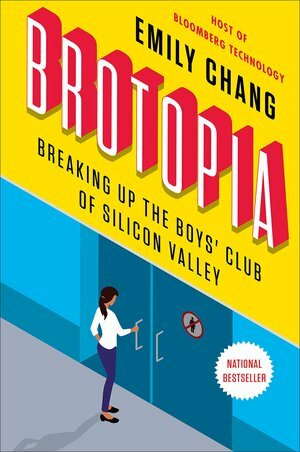 A different sort of tech novel, exploring the homogeneous society of Silicon Valley’s tech bro communities. A world where discrimination and harassment are rife within the workplace, this book critiques the entrenched sexism found within what is supposed to be society’s most progressive minds. The novel features interviews with the most successful women in tech, and insider scoops on the uncomfortable reality of this inequality. This book shows you how to turn this ‘brotopia’ on its head. Although Nadella comes across as technocrat in his part autobiographical book ‘hit refresh’, it is a must read for anyone interested in the life and times of a Microsoft CEO. Born in Hyderabad in India, Nadella speaks of his childhood, moving to America, his family life and career. Coupled with multiple philosophical and political musings, the book carries across his personality and a particular candid warmth. This book will be a page turner for any tech fanatic, documenting the history of emerging tech, and the worries that are often associated with them. The novel explores how we can shift the public’s perception of new tech, whilst touching on themes such as inequality within the industry along the way. A more lighthearted take on a seemingly doom and gloom subject, Zach and Dr Kelly Weinersmith explore all of the new and emerging tech that will either make or break the world. It covers real and imagined technologies that could potentially change the world, and what steps would have to be taken to create and release them. This podcast is a fan favourite, and one of the most successful and well respected tech podcasts out there. The three hosts are some of the best developers in the industry, and listening in on their discussions almost feels like a privilege at times. The show ranges from in depth explanations of the latest products, to light-hearted banter between tech friends with a bit of everything packed into the 2 hour time-slot. A podcast focused on the more human side of tech, this one is for all the people struggling to integrate tech such as their Apple Watch or Google Home into their daily routine. The show gives tips on how to make time for your weekend coding project, as well as how to tackle your greatest tech woes. This podcast stands out from the rest with its round-table discussions. The two hosts have two new industry guests each week, and with each episode under 30 minutes it is a perfect podcast for those short on time. Each episode covers a range of topics, from Windows 10 to online advertising. Although the episodes are short, they always cover the latest events as well as a couple of extra surprises for a show that packs a punch. An all female podcast that explores everything tech and geek culture. Featuring Mashable’s Senior Tech Correspondent and Media Specialist Christina Warren, Game Development and Tech Feminist, Brianna Wu; and Family Gaming and Diversity Writer, Simone De Rochefort. Their knowledge and love of tech, video games and everything in-between is the perfect formula for a podcast like no other.